Furiends, I’ve been trying to find a good solution to organise my thousands of photos and I’ve really enjoyed looking at old photos. This photo was taken three years ago! I’m much more professional now! How do you organise all of your old photos? 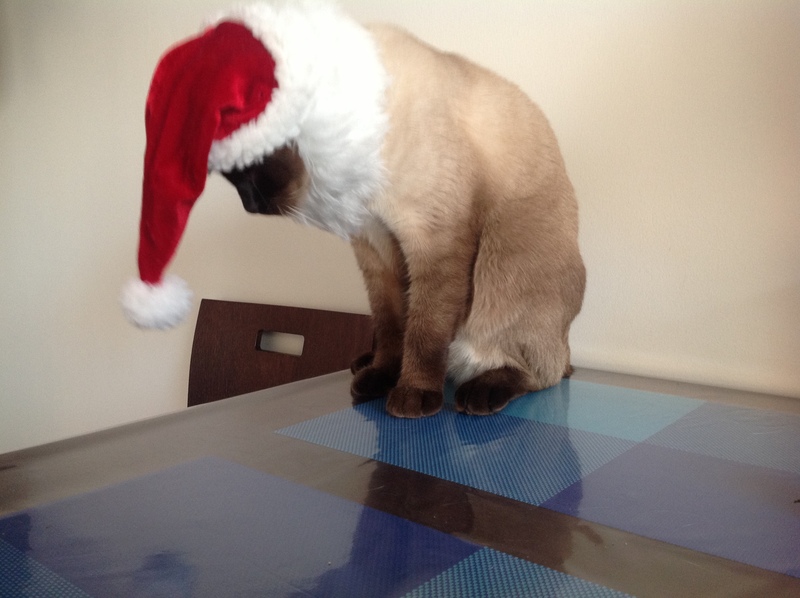 The first picture of you in your Santa hat is your best picture ever. 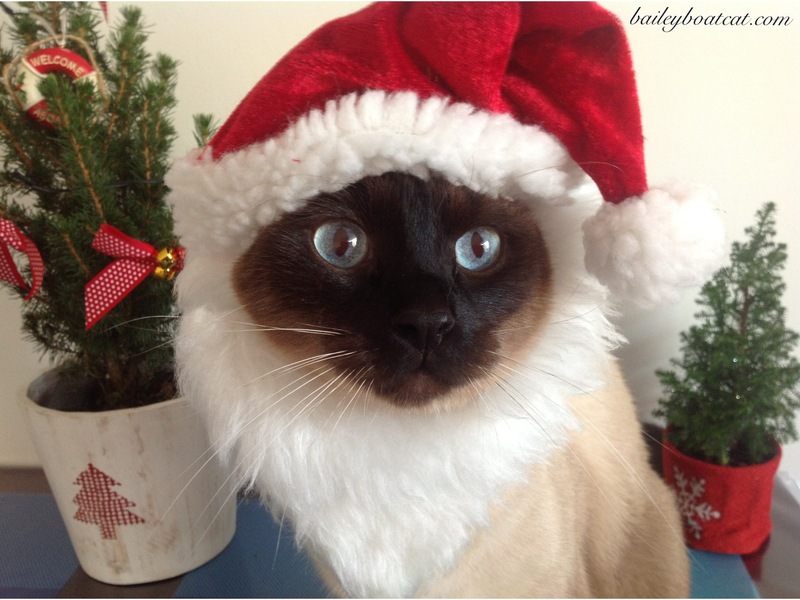 Bailey, you make a most attractive Santa! Purrs and Hugs my friend! Very cute photos. The ones I had printed are in albums, but I have thousands in the computer that I need to do something with before it crashes and I lose them all. Oh that is such a nice photo and I completely understand why you were shy! Organizing photos is a tough job. I try and do them by year but the older ones that are not digital are much more complicated and are in albums. What an adorable pic of you, Bailey. My human says you are the prettiest cat she has seen. I think so too. Our photos are terribly organized! They are all by month, and by year – but that does not say much about what they are about.